Prior to contacting our office, our client was having little success in securing his disability insurance benefits under his privately purchased individual disability policy with Northwestern Mutual. Our client, the sole owner and employee of a small lawn care business, suffered an eye injury that required surgery and left his vision severly compromised. Left with only one properly functioning eye his doctor advised him that he needed to be especially protective of his healthy eye or he could risk blindness. Given the physical nature of our client’s profession and the occupational duties required to execute same he was forced to close his lawn care business and filed a claim for disability benefits with Northwestern Mutual in January 2017. Northwestern Mutual is one of the most reputable disability insurance companies, and with that reputation comes very thorough, in depth reviews of any claim for disability benefits. At first our client tried to properly respond to all of Northwestern Mutual’s request for information but quickly became frustrated and overwhelmed with the process, and essentially stopped pursuing his claim in September 2017. In May 2018, nearly eight months after he received his last correspondence from Northwestern Mutual our client decided to look into the matter further and contacted our office and spoke with Attorney Stephen Jessup. Attorney Jessup reviewed the information provided by our client and realized quickly that the main issues preventing a payment of benefits was due to a misunderstanding on our client’s behalf and miscommunication between our client and Northwestern Mutual that led to a stalemate. The most relevant issue was determining our client’s occupation for purposes of disability. Our client’s policy determined disability based on the inability to perform one’s occupation or occupations, if more than one. Therein lied the problem. Northwestern Mutual had determined that our client had two occupations – Lawn Care and Rental Property Management. Attorney Jessup believed that the our client’s only occupation was that of a Lawn Care worker and that any income derived from his rental properties did not constitute an occupation, but was rather passive income generated from investment rental properties. Despite the disagreement as to what constituted our client’s occupation, Northwestern would not budge from its position and cited initial claim forms submitted by our client at the inception of the claim to support its position. 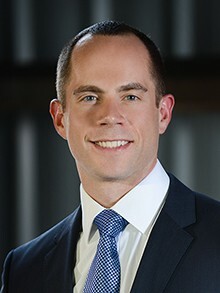 Regardless of Northwestern Mutual’s position Attorney Jessup knew that based upon the partial disability provision in our client’s policy that he would still be eligible for partial disability benefits and made argument as to our client’s entitlement to same while continuing to argue entitlement to total disability benefits. Nearly two years after filing his claim for benefits, and only a few short months after retaining Attorney Jessup, Northwestern notified our office that it was approving partial disability benefits and then total disability benefits retroactive to January 2017. As noted above, Northwestern Mutual is very thorough in its review of claims for long term disability benefits and will often require a great deal more information as part of its review than the vast majority of disability carriers. As such, it is crucial that in submitting a claim for benefits that an insured be very organized and prepared in advance. Had our client contacted our office before filing his claim there stands a chance many of the obstacles encountered could have been avoided. If you are contemplating filing a claim with Northwestern Mutual, or have an existing claim and have any questions regarding same please feel free to contact our office to speak to one of our disability insurance attorneys.